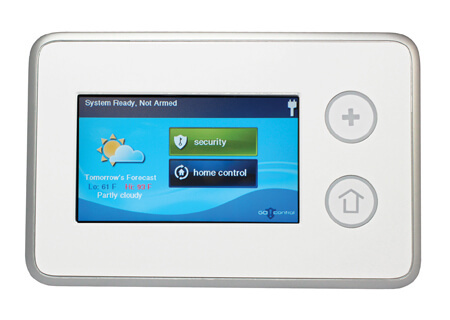 Wall-mounted, full-color, touch screen interface provides many of the same easy-to-use functions available on the control panel. 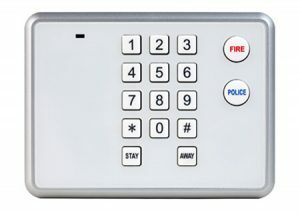 The Wireless Touch Screen Keypad is a wall-mounted, full-color, touch screen interface that provides many of the same easy-to-use keypad functions available on the control panel. 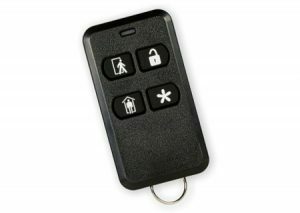 It is designed for indoor use only and gives users the ability to control lights, thermostats, and door locks, as well as to view the status of every sensor zone.